Need State-Of-The-Art Burglar Proofing? Come to Sequre! While South Africa is one of the most beautiful countries in the world to live in, it is an unfortunate fact that the crime rate is very high. Break-ins and burglaries happen on a daily basis, and those with valuables and more assets are not the only ones who are at risk of crime. Security measures are taken by everybody to protect their homes from invasion and break-ins, and as a result, the South African security industry is one of the most developed and modern in the world. Usually, the first line of defence is to install burglar proofing. Effective burglar proofing is vital to protect homes from unwanted intrusion. Not only does it play a role in safeguarding the family and employees, but it also helps to protect assets and vehicles from being stolen or damaged. Often, however, burglar proofing can be rather unsightly. 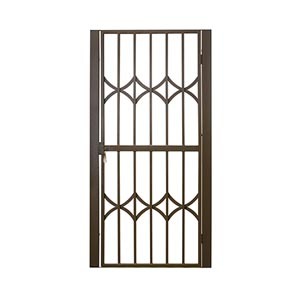 The traditional iron bars in windows are a common sight, and can detract from the aesthetics of a property. On the other hand, visible burglar proofing, electric fencing, and CCTV cameras can act as visual deterrents to criminals, and they would rather move on to a property that looks more vulnerable to intrusion. 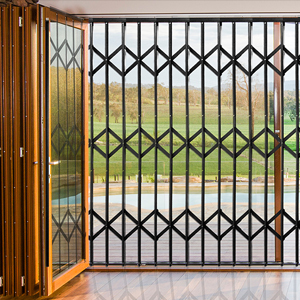 Nowadays, there are a whole lot of different types of burglar proofing available on the market, and a big effort has been made to keep burglar proofing highly effective, while also avoiding the presence of the burglar proofing to detract from the visual aesthetics of the property. At Sequre, we specialise in attractive yet highly functional burglar proofing that will not deter your customers or potential home buyers. 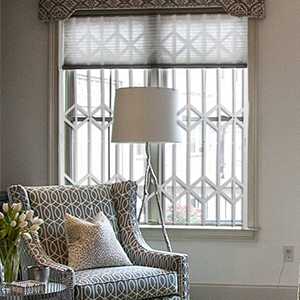 When they observe our burglar proofing, they will get a sense of security while still being able to appreciate the visual aesthetics of the property. This is because we have a highly skilled and experienced creative security team that constantly develops new and interesting burglar proofing. 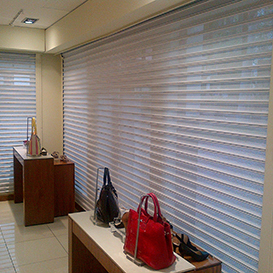 We design and manufacture our products to be superbly secure, while still letting in daylight and air. Our burglar proofing meets specific requirements that are vital to protection and strength. We are highly committed to providing our customers with the security solutions they need, and as a result, we invest significantly in research and development of new security solutions, including burglar proofing for homes and businesses. We pride ourselves on our ability to apply high-standards and superb performance. Our workmanship and processes are subjected to very strict quality checks and policies to guide management and practicality. Our very own in-house art powder coating facility is simply state-of-the-art, and we always ensure that we bring great quality products to market on a consistent basis. In order to provide our customers with outstanding products and service, we have partnered with a range of agents to install our products, and they also provide great after sales service to all our clients throughout Africa. Our market is not only local – we go to great lengths to safeguard clients all over the continent with our innovative burglar proofing and other security solutions. We pay attention to existing problems and find ways around these by bringing new security products to market. We serve a range of different segments, including domestic, commercial, industrial, and retail environments. For more information about our burglar proofing and other types of security solutions, contact our team at Sequre. We will ensure that you get the security solutions you need!